Attach technical addendum that includes technical data in support of the non-conforming tender. 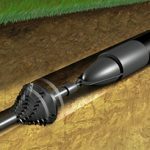 Pipe cracking (bursting) replaces old pipe with a new PE pipe that is drawn along behind the cracking device. 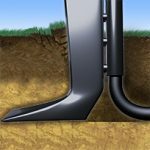 Plough in is used in open field areas and eliminates the need for open trench construction and the consequential disruption to surrounding activities. 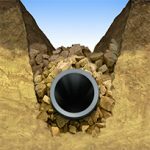 Tight lining is a process that temporarily reduces the size of the new pipe, enabling it to be drawn into the degraded pipe. 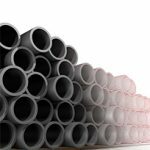 PE100 HSCR offers an alternative design solution in situations where wall thickness has been added to reduce the risk of brittle failure. 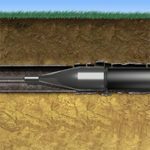 Directional drilling is particularly advantageous for installing a new pipe in urban situations where disruption to traffic and the community must be minimised or eliminated. 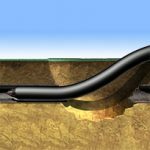 Slip lining offers a quick trenchless solution to a problem with an existing buried pipe. All information contained in this publication and any further information, advice, recommendation or assistance given by Qenos either orally or in writing in relation to the contents of this publication is given in good faith and is believed by Qenos to be as accurate and up-to-date as possible. The information is offered solely for your information and is not all-inclusive. The user should conduct its own investigations and satisfy itself as to whether the information is relevant to the user’s requirements. The user should not rely upon the information in any way. The information shall not be construed as representations of any outcome. Qenos expressly disclaims liability for any loss, damage, or injury (including any loss arising out of negligence) directly or indirectly suffered or incurred as a result of or related to anyone using or relying on any of the information, except to the extent Qenos is unable to exclude such liability under any relevant legislation. Freedom from patent rights must not be assumed. This document does not replace any existing relevant manuals or standards. 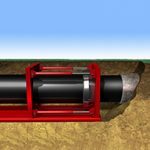 It remains the user’s responsibility to ensure that all relevant laws, standards and specifications are adhered to when designing and installing a pipeline.